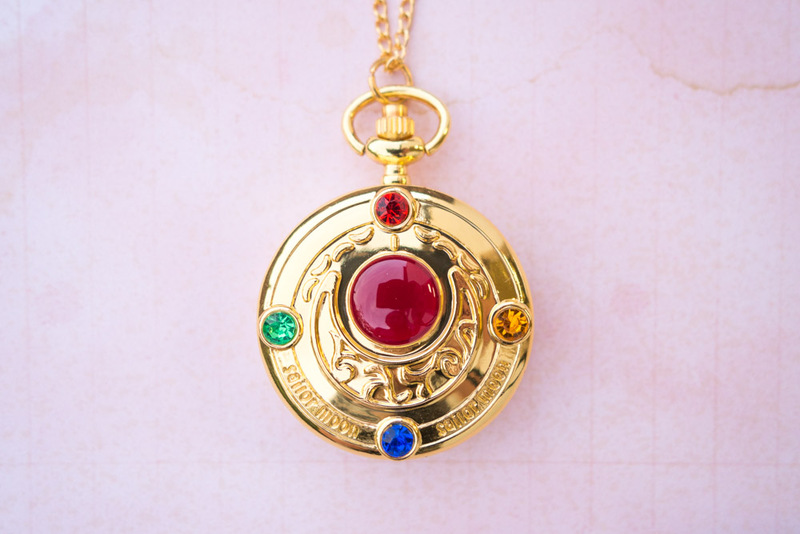 Sailor Moon inspired locket quartz pocket watch in gold. 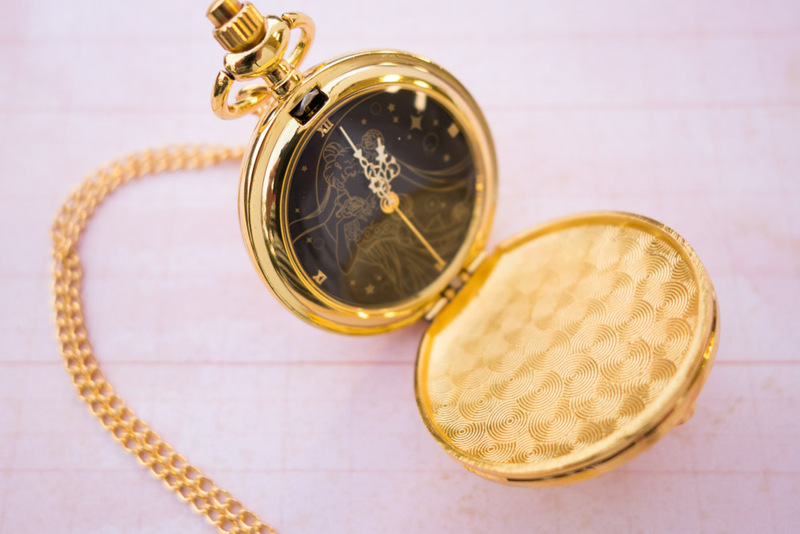 The inside features Princess Serenity and a golden dial. It comes on a 30" gold plated alloy chain with a lobster clasp enclosure. To reset the watch, simply pull the screw and turn the dial, and push back in. Uses AG4/377A battery (included).